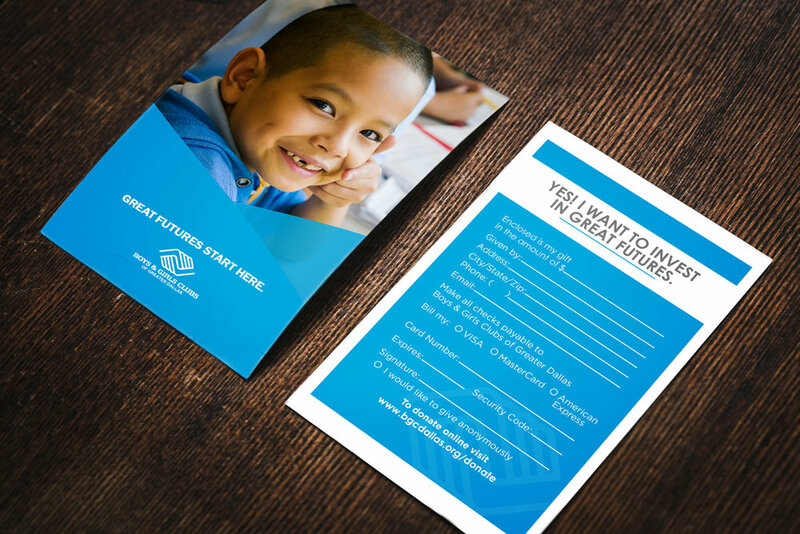 Boys & Girls Club asked for an overturn of their current direct mailers and reply cards. 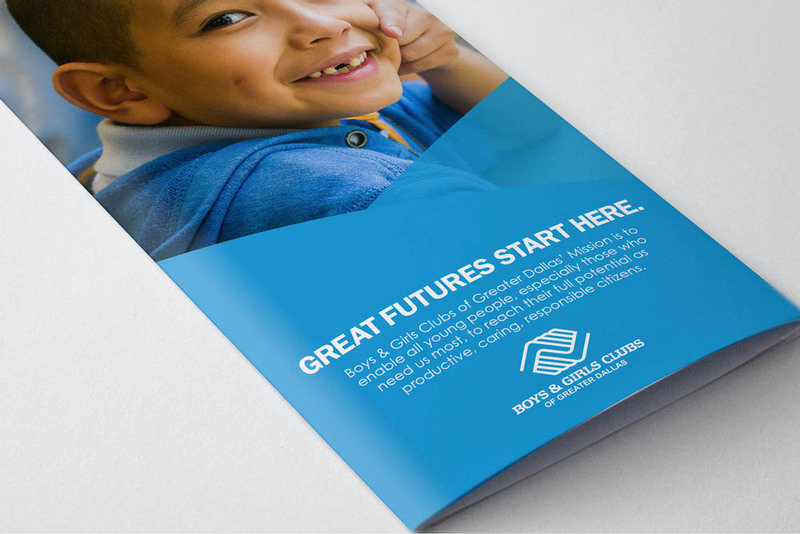 They wanted a marketing collateral piece that communicated a fresh/modern brand that included eye-popping graphics to grab peoples attention without too much type being presented. These pieces were sent out to the East Dallas community to share their mission and to ask for support through donations. 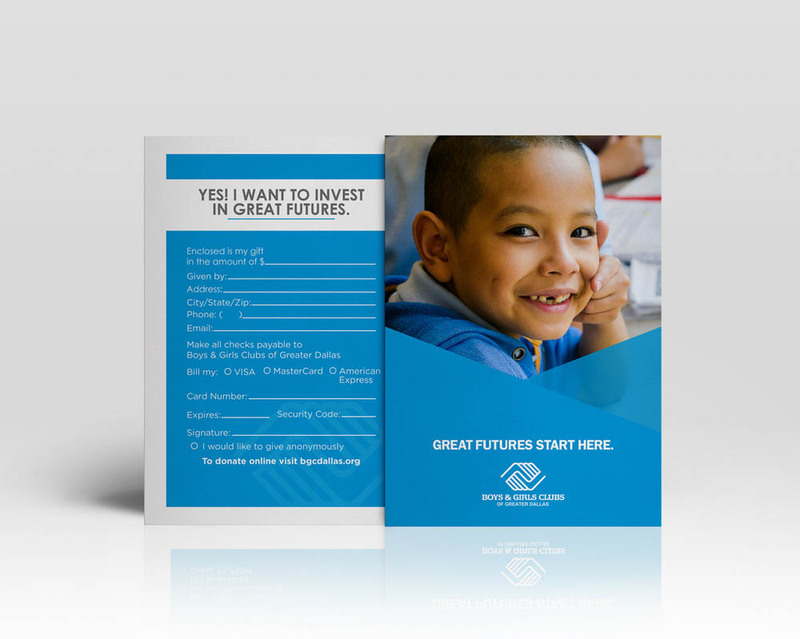 The direct mailer also featured an outstanding member of Boys & Girls Club explaining how the program bettered her future. 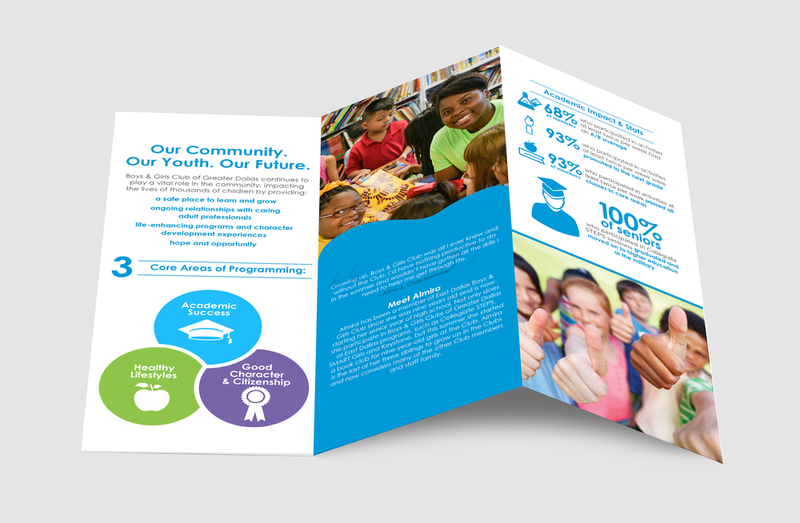 What began as an East Dallas digital mailer and reply card, quickly converted into supporting the whole entire Dallas county.